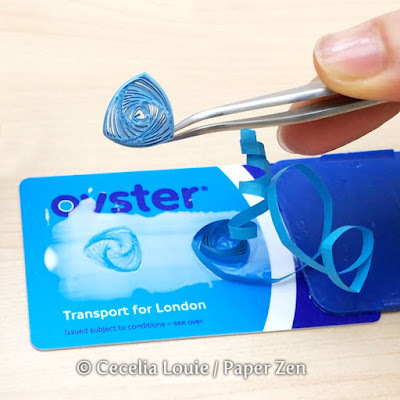 Learn how easy it is to make these mesmerizing coils, invented by Licia Politis. 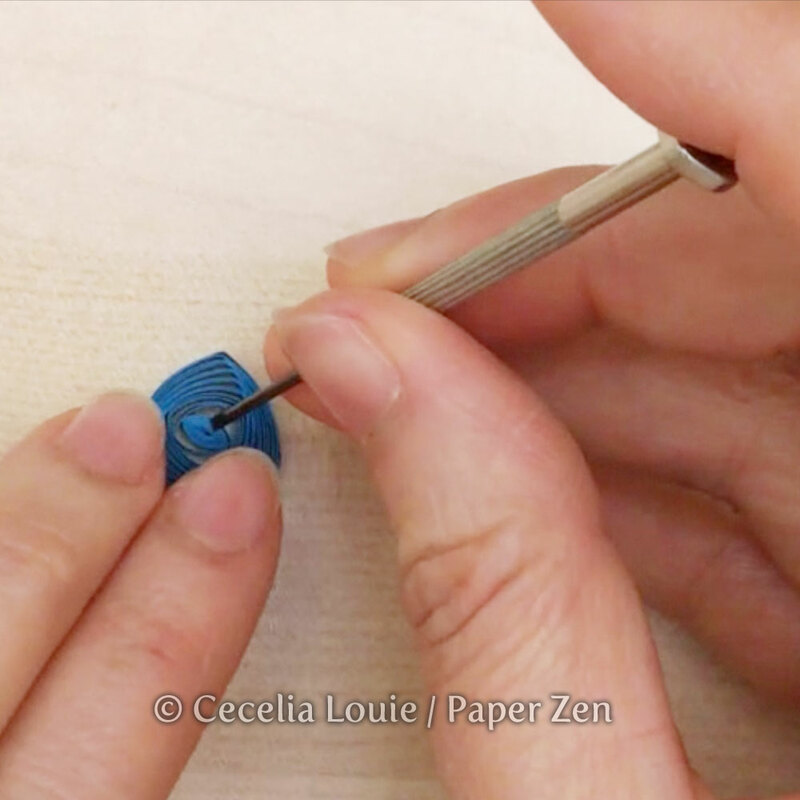 My latest video tutorial showcases making them with standard 1/8" width quilling paper. 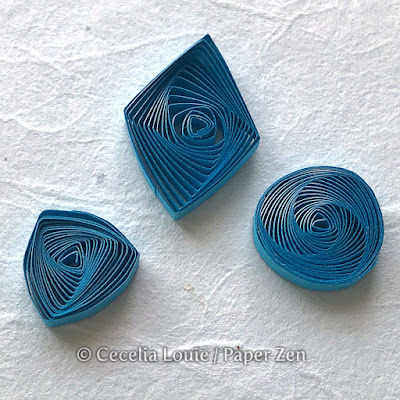 Sure, you can poke and prod the innermost coils of the vortex, coaxing them into the mesmerizing swirls we're all after, but what if we did it in a more efficient (ahem, LAZY!!!) way, using a miniature screwdriver? Ever experience a twister (shown on the right)? I'll show you how to tame those dreaded tornadoes with an easy, breezy method. Subscribe to my YouTube channel and learn how to make Vortex Coils! Love the last tip, you're a genius !! LOL! Just sharing my inside thoughts Séverine! But I must admit, I do love it when you tell me I've given you an "ah-ha!" moment! Do you soften the strip first when making vortex coils? That's a really good question Alice! I re-watched myself just to check, and no, I did not pre-soften the strip like I usually do. I paused and thought about why my fingers didn't require it this time. The only answer I could come up with is that the coil uses the whole length of the paper and didn't seem to need me to pre-soften to get the result I wanted. When I am making items where my focus on the innermost coils is more pronounced, I guess my eyes are bothered by what they saw. In the case of vortex coils, however, it doesn't seem to bother me at all. I don't know if that's a good enough answer to your question - even I am trying to ask myself why! LOL!